According to actor Hugh Jackson “The Spa Sanctuary at Gwinganna, Australia, is quite simply world class. Fresh air, pristine water and the oldest rainforests in the world make this continent an exquisite location for cleansing the soul. Now you can cleanse your body and mind at Gwinganna Lifestyle Retreat – Australia’s only 100 per cent organic health destination. This eco-friendly spa sits proudly on a plateau on over 500 acres in a hidden region of the Tallebudgera Valley and enjoys breath-taking ocean views towards Queensland’s Gold Coast. Gwinganna translates to “lookout” which was the original name given to the region by the Aboriginal people as the views stretch from Moreton Bay to Coolangatta. Guests are encouraged to follow in the Aboriginal’s footsteps with Dreamtime. This is a part of the day during which guests are urged to slow down and appreciate their surroundings and enjoy the environment. 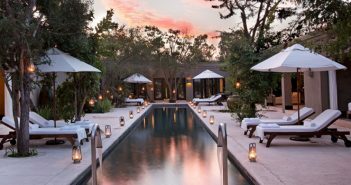 The 33-room Spa Sanctuary has two swimming pools, an elevated outdoor deck and lounge which overlook the native spa garden and Crystal Steam Room. Resident botanist and social ecologist John Palmer offers early morning nature walks and gives talks to inspire guests to adopt a more sustainable approach to living in the modern world. The team at Gwinganna have now launched their first book From Garden to Gourmet which is a celebration of organic cuisine packed with recipes to create at home. Situated in Costa Rica’s northern region at the foot of the Arenal Volcano is this carbon-neutral spa resort offering adventure and relaxation in a rich rainforest setting. A natural thermal river flows through the grounds, cascading down picturesque waterfalls and forming 12 hot spring pools and lagoons which are naturally heated by the towering volcano. The Grand Spa is reached via a series of winding stone pathways and arched bridges and incorporates the mineral springs into its unique open air environment and various hydrotherapy experiences. Treatments are enjoyed in open air garden bungalows, each with private Jacuzzi, and guided yoga sessions and ancient style temazcal (sweat lodges) are available. Signature treatments harness the powers of the nearby volcano by offering volcanic mud wraps and a volcanic hot stone massage – which is absolute bliss and remarkably relaxing even when experienced in the heart of a humid rainforest. The 102 traditionally styled guest rooms feature locally crafted furniture and private decks and you can dine in the Ave del Paraiso Restaurant, which is located in the lush gardens and provides buffet-style dining as well as dedicated spa cuisine. Wake up to the sound of chattering macaws in your tree-house villa and take a refreshing shower in a pristine waterfall before contemplating whether you fancy a rub down with lillypilly berries, wattleseeds and desert salts. This north Queensland haven set in the Daintree rainforest, offers a jungle jaunt without the guilt, as protecting this conservation land goes hand in hand with massaging the guests. Fifteen simple, wooden tree hut accommodation blends with the environment and both the spa treatment and food menus have been created in association with the elders of the local Aboriginal Kuku Yalanji people, who also played a key part in creating the spa’s exclusive organic product range. When you’ve detoxed with the fruits of the forest, there’s plenty of opportunities to see conservation in action. The Lodge runs guided walks through the rainforest and Aboriginal art and cultural workshop days. This is known as the “most pampering Eco lodge in the world” and was named ‘Wawu-karrba’ by the Aboriginal people which means “healing of the spirit”. Daintree Spa harnesses these potent natural forces to create a healing environment which boasts Aboriginal-inspired massages and spa therapies bringing you in tune with the vibrations of the earth. And for those who want to take their eco-spa experience home, you can take-away the Daintree Essential range which combines the Kuku Yalanji healing principles with the five elements of earth, water, fire, air and ether. The spirit of Spa-fari looks bright when you visit Karkloof which nestles in a green bowl surrounded by stunning countryside, craggy cliffs in the distance and the glittering waters of the Albert Falls Dam. You can spot kudu, springbok, giraffe and zebra, and swim at Africa’s first destination spa which was designed and built in the most environmentally friendly way possible. There are 17 spacious treatments rooms each with magnificent views of the surrounding valley. The spa was designed to seamlessly merge with the natural surroundings and eco-friendly methods have been used throughout its construction. Living roofs, which allow the buildings to become part of the landscape, and thatched walkways are just two of the eco-conscious elements of the design. Other eco-friendly practices include recycling all grey water via the wetlands so that it re-enters the natural ecosystem, dual flush toilets and planting indigenous trees around buildings. All produce and products used are 100 per cent bio-degradable and eco-friendly. 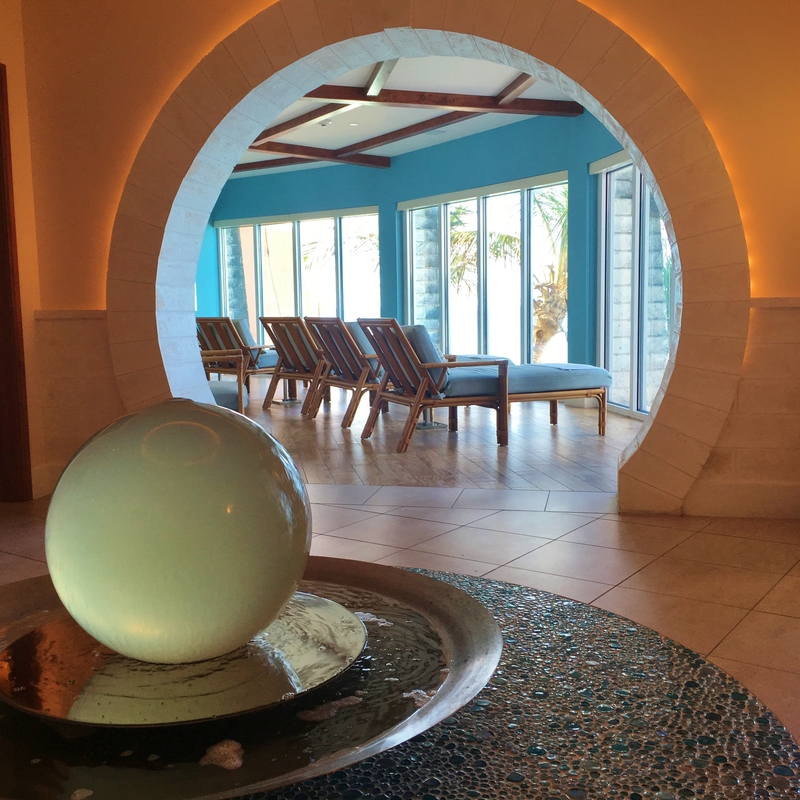 The spa offers everything from ginger tea and lemongrass wraps and Thai melon and honey facials to flotation, reflexology, mineral baths, kneipp pools and access to the spa’s hydrotherapy facilities. Personalised weight loss, detox and wellness programmes are also available at the wellness centre for those guests with specific health and fitness goals in mind. As you approach the pink castle you could be forgiven for thinking you were in the French countryside instead of deep in the rainforests of Malaysia. Located on Berjaya Hills, The Chateau Spa & Organic Wellness Resort sits poised amidst a thick rainforest landscape, 3,000 feet above sea level. 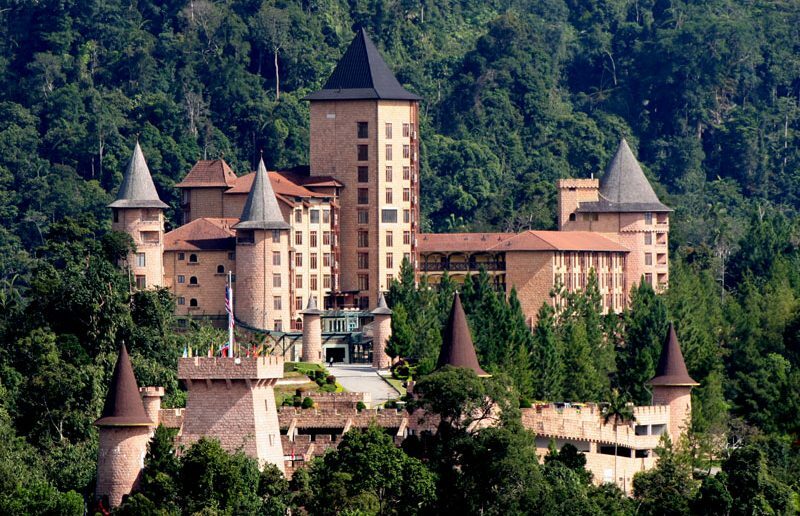 Modelled to resemble the 18th-century “Haut Koenigsbourg” castle in Alsace, France, the award-winning haven, which calls itself the world’s first organic spa and wellness resort, brings European flair to Malaysia. The sparkling centrepiece of the resort is La Santé an organic spa, offering customised treatments, beauty and stress management programmes and nutritional consultations. The spa is the first in Asia to offer its clientele the use of European thermal facilities which include an herbal infused sauna chamber, salt grotto infused with Swarovski crystals or mud chamber and a soap brush/aquaveda heated bed with automatic body scrub facilities. The resort boosts 200 elegant rooms and suites with complete luxury of 100 per cent organic bed and bath linens, exclusive VOYA organic bath products which uses seaweed harvested from Ireland’s Atlantic seaboard. La Sante Spa’s philosophy is: “We have a heart for our planet.” Therefore they use nothing less than biodegradable material throughout the resort. Organic gourmet dining experiences are on offer which will delight even the sharpest of palates. 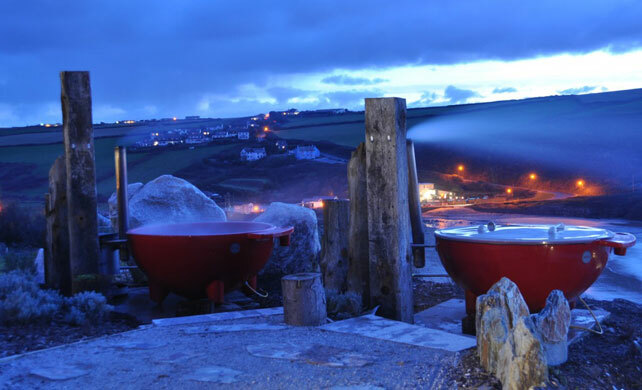 As you sit simmering away in a burnt red hot tub perched on the cliff top overlooking the breath-taking Cornish coast in the UK you almost become at one with nature. Scarlet’s is an award-winning 37-bedroom hotel spa for adults built to the highest eco standards, boasting delicious locally-sourced food and the best Ayurvedic-inspired spa you can imagine. Spa-goers get the chance to take a dip in Scarlet’s natural pool which uses a living reed bed as a filtration system; micro-organisms and plants balance the chemistry of the water ensuring clean, clear and hygienic conditions for an exhilarating outdoor, fresh water swimming experience. The spa roof is planted with native Sea Thrift, a plant which naturally occurs along North Cornwall’s cliff tops, and helps the building to merge with its coastal surroundings and provide an additional wildlife habitat for insects and butterflies. The red-hot spa menu also includes hammam treatments, Rhassoul (where you can have messy and mineral mud sessions), uplifting relaxation area overlooking the outdoor natural pool and Atlantic waters beyond. • The use of organic cotton linens, towels and robes and natural lighting. • Treatment menus in digital format to save paper and providing of eco-friendly literature to guests for reading. • The use of energy efficient light bulbs, floors of sustainable bamboo and low-flow shower heads, sink taps and toilets. • Water conservation efforts and a more managed laundry service. • Adhering to the principals of LEED – Leadership in Energy and Environmental Design, such as including recycled wall insulation, LED lighting and energy efficient air filtration system. • Using soaps without phosphates, toilet paper made from recycled products and recycling grey water (dish, shower, sink and laundry water).